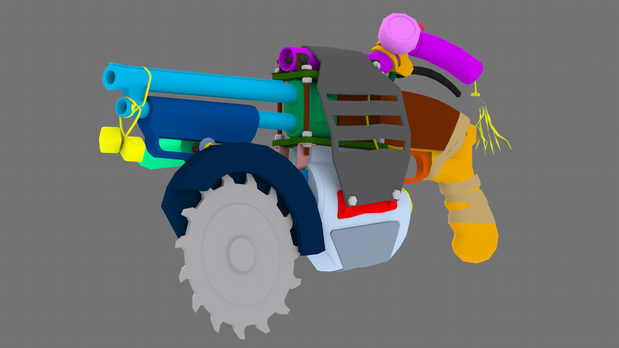 In this project I am so far enjoying my progress and how quick I am getting through a lot of the stages, but earlier in the week I did have a bit of a hurdle: mainly relating to the high poly model and the design direction. 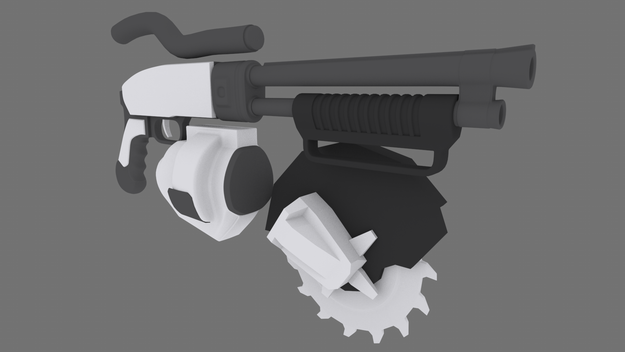 Last week I got into modelling fairly quick so I could focus on kitbashing the gun from the concept and correct the design using the references I put together on my moodboard but there were a few issues, I still only had a side view which didn't help in terms of fleshing out the 3d model and overall the design still looked boring to me, I also had no idea how to attach some of the parts of the gun together so I decided to take a day to go back and do some overpaints. After receiving some criticism from Stas (one of our tutors here at DMU) I looked more into improvised weaponry and how they are assembled, so I created another refboard that I could apply to some paintovers. 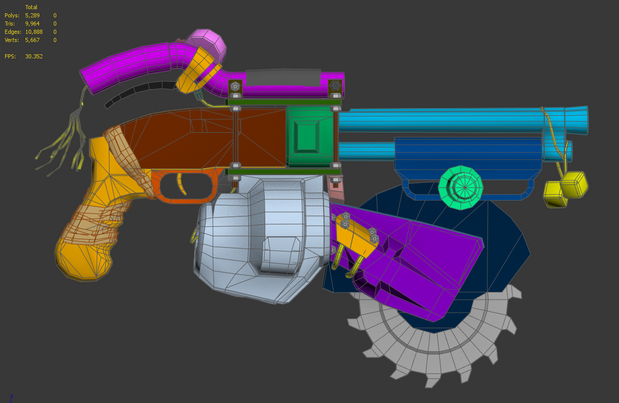 This fixes the main criticism of my model so far in that it still felt like separate pieces. The model before overpaints, here I did some parts in high poly based of the earlier concept I did but I hit a brick wall with how the design actually fit together because of the flat nature of the concept. 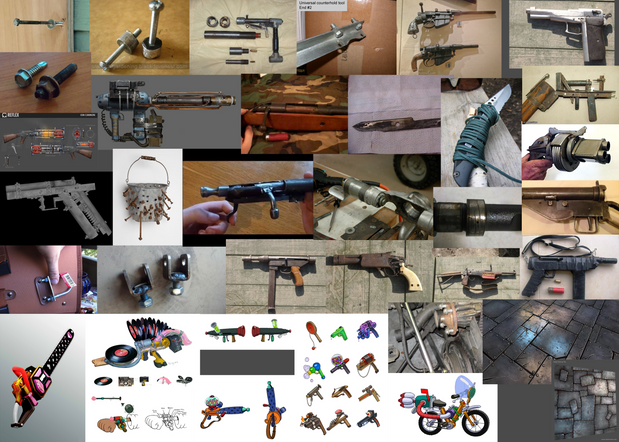 That was the moodboard for the bolts included with some other reference images. Casto (Another tutor) said I should try and make the design a bit more wacky, which is kind of where I wanted to go with it anyway. 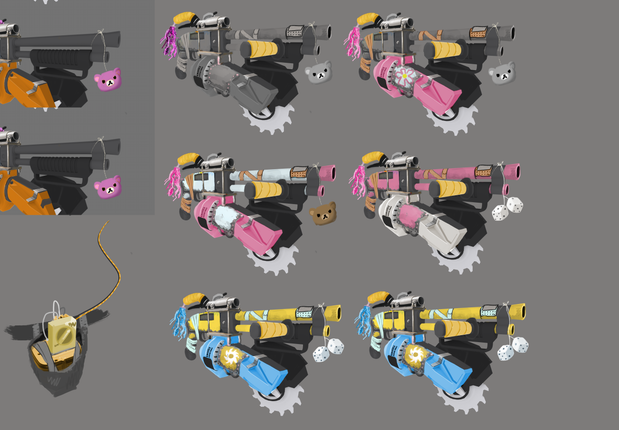 I looked at weapons from Sunset Overdrive and childhood favourite Kids Next Door with their '2x4 technology' in order to gain some design inspiration. 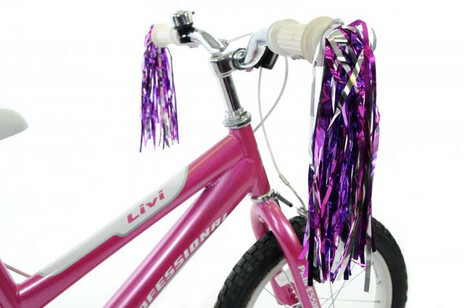 I suddenly had fresh idea of what the gun could be, and then I stumbled across an image of a kids bike which I included into the design, I had the idea of maybe using a sawn off bicycle handle bar for the top handle of the gun which uses the brake pad rewired into the saw to activate it rather than a typical switch, making the weapon functional but still keeping it fairly outlandish to use. These are my paintovers, I experimented with some different colour schemes and directions but found the blue and yellow to be a bit more all-rounded and it has a nice summery feel to it which is quite nice. 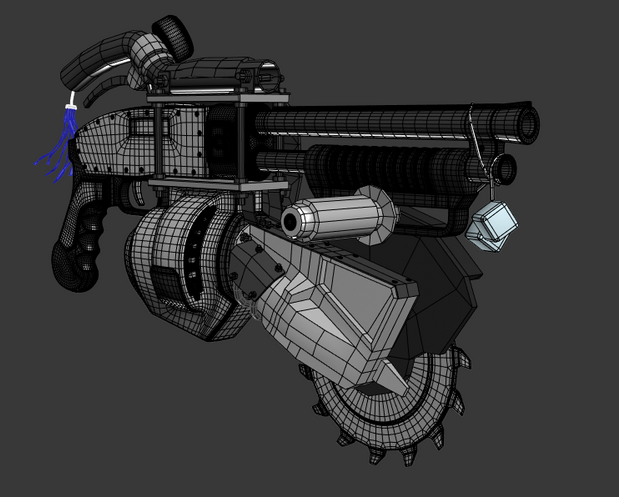 The sketch to the side is what I envision a power source looking like, with a drill battery fitted into a pouch on a belt, with a cable attached connecting it to the gun. Once I had the concept done to a nice standard I could continue modelling, it started by blocking out the other main sections on the model first that were added in the concept before moving onto the complex geometry of the highpoly. The important part was that the main forms were completely blocked out this time and that the model felt bolted together, the extra ref definitely helped here! 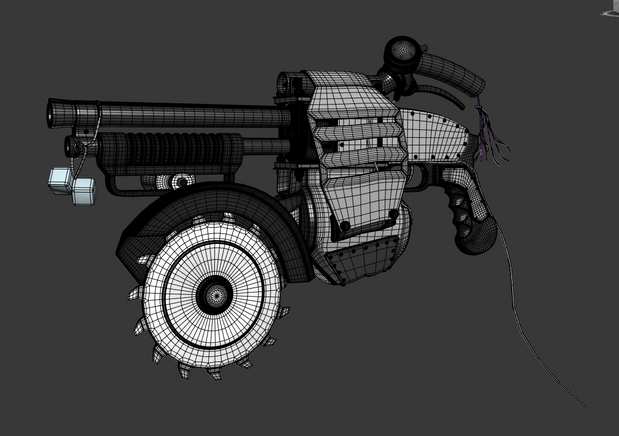 The next step after this was mainly detailing and adding in remaining support loops. For details I created some little nuts and bolts and placed them onto the mesh using object paint which was a really speedy process. 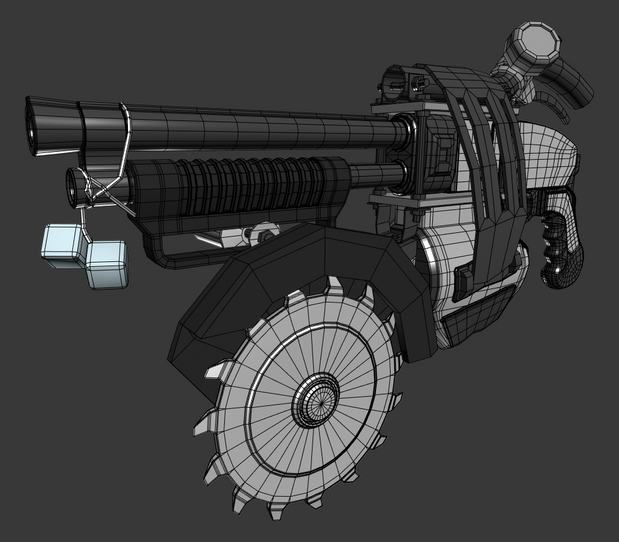 The majority of time was actually spent doing the support loops and making sure the high poly smoothed correctly on the saw engine and length, there was some really complex geometry here and I had to redo it a few times to make sure it was ok. Switching wireframes on and off constantly has become second nature after this project. The following image I believe is my final wireframe apart from the hanging cord which I later decided to delete, the next step was to apply material IDs, Jonah told me a way that I could bake normals in 3ds max by matching material ID so I dont have to waste time exploding my mesh or go through having to bake my normals in substance painter. 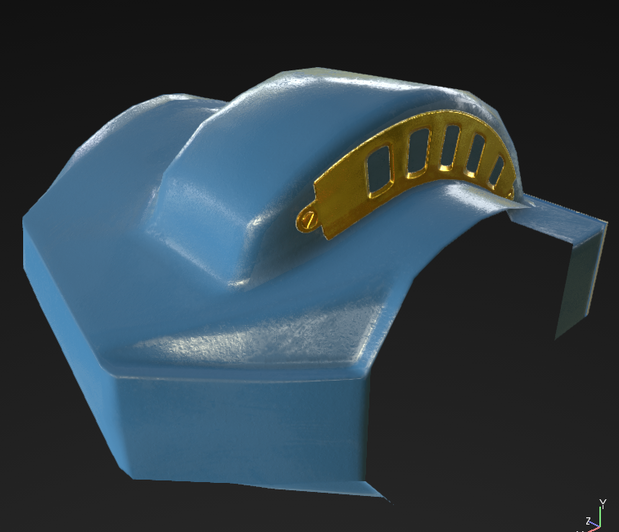 The bake was just of the engine part but it has almost pretty much the exact look I wanted with the soft edged plastic mold, the normal map really does makes a difference in the model, last time I attemped this was during my sentry turret project but it didn't really work out too well as the normals smoothed the mesh incorrectly. If the rest of the normals bake as well as this did then I will be happy. I know this post is getting long but this is the last bit I promise. :) My planning was a bit on the slow side towards the start of this project, I just wanted to dive in and model things, after the little hickup with the concepting though I reorganised myself and planned my days out a bit better. I think that brings me up to speed, I'll do a quick image post maybe when base materials are applied tomorrow afternoon.